Hey Everyone!! It's Lisa! I just have to send a HUGE thank you to all of you for making A Special Sparkle an instant success!! 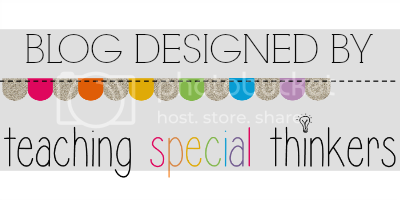 When I came up with the idea of a collaborative special education blog, it was really just because I wanted to contribute to a group page, but I never found one in our area of expertise. I never dreamed we would have such an outpouring of fans and followers so quickly! I also love all of the requests I've been getting for topics. I've read every single request and they have been given to my authors. Your requests are in the process of being full filled! There are so many things we do without thinking, that it's great to know what other teachers want to read about that we may take for granted. Thank you for being loyal readers. The Sparklers and I love your fabulous comments, feedback, and ideas! This was our 2nd week of school and suddenly it was already a birthday. The parents very sweetly brought treats to share with the class... then my teaching partner Lauren and I realized just how many severe allergies we have in our class! This year we have: all nuts, eggs, soy, corn, gluten and....I dunno I have a list now though! We were digging through files, sending emails, and talking to previous teachers to find out who could eat what! This reminded me that we have some paperwork to do! I have a caseload of 10 kids this year, but coming to a brand new school, I didn't know anything about any of them! It's special education, so each kid has a file an inch thick by 2nd grade, that's A LOT to read and sort through! Last year I had a similar issue with 5 brand new students on my caseload with very significant medical and special education concerns and I needed the info fast and at a glance. I created a solution! This super easy Special Education Student Information Sheet. It has all of the essential information all in one place for easy access. Lauren and I are in the process of going through and reading all of our student files and gathering our information so we can make a plan for each student. 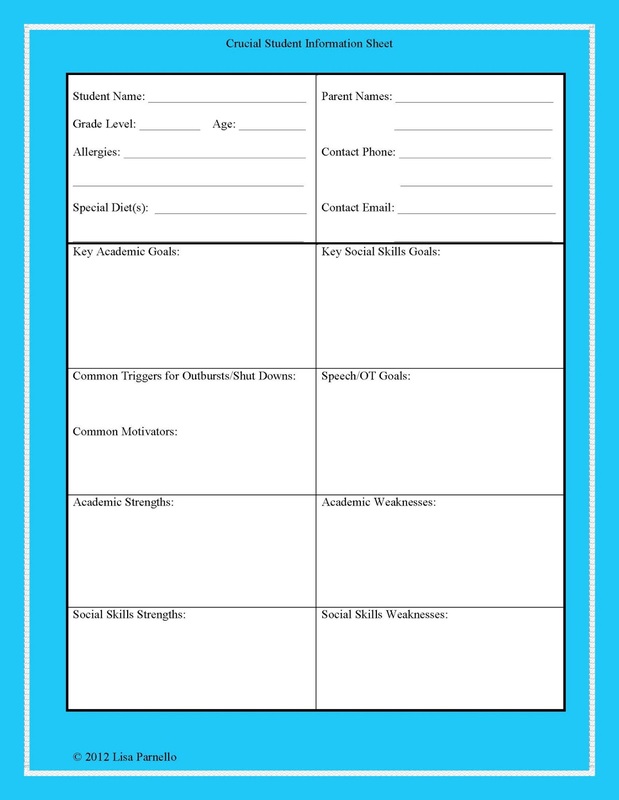 This sheet makes it really easy to reference the different needs of our students! I made it in blue so it would be bright for me to find, but I also included a black & white copy in the file.